Even though I'm a serious movie fan, there's rarely enough time to check out all the films that interest me when they originally hit the theaters. I recently did a 2012 Catch-Up Marathon to fill this gap, but that only scratched the surface of the worthy choices from this year. After checking out three releases during the past week, I've decided to write short reviews to summarize my thoughts. Each movie has a lot going for it, and several will certainly be heard from during the awards season. I'm curious to hear your reactions too; let me know what you thought about these films in the comments section! Ben Affleck has earned great acclaim for his directing in Gone Baby Gone and The Town, but he takes a big step up with Argo. This adaptation of the true-life experiences of six hostages trapped in Iran and the man who rescued them is a gripping thriller. Affleck plays Tony Mendez, a CIA expert at this seemingly impossible situation. His idea of using the cover of shooting a sci-fi movie is genius because it's so ridiculous. John Goodman and Alan Arkin are charming as the Hollywood guys who support the scheme and sell the picture. Considering the heavy material in Iran, the spoof on the movie industry provides a welcome respite. The tone is different but doesn't feel out of place. Affleck has good chemistry with both of the veteran actors, and their bond lifts the story beyond a typical spy movie. The hostages include a talented group of youngsters who are virtually unrecognizable behind '70s hair and clothes. Scoot McNairy (Monsters) gets the most to do as the skeptic, but it's the stable presences of Tate Donovan and Clea DuVall that make us care about their survival. Since we already know the ultimate outcome, it's up to Affleck and Writer Chris Terrio (Heights) to keep us engaged. They certainly stretch the reality to ratchet up the tension, but it rarely feels manipulative. The set design sells the idea that we're seeing Iran in 1979 because it seems down to earth. It's clear that Affleck is trying to mirror '70s classics like All the Presidents Men while still entertaining modern audiences. 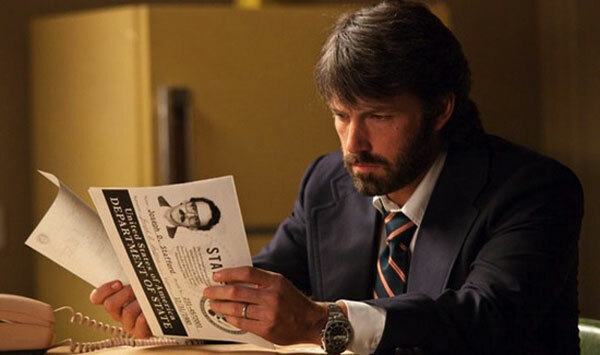 While it isn't my favorite movie of the year, I wouldn't complain if Argo received a Best Picture nomination. Everyone involved gives it their all and delivers a highly engaging thriller. Released in July, Benh Zeitlin's debut feature earned tremendous acclaim and should be on many year-end lists. I hesitated to check it out because of false expectations of its content. Those assumptions were generally untrue and missed the strangely upbeat tone. The characters are living in serious poverty in the Louisiana bayou, yet it's rarely depressing. 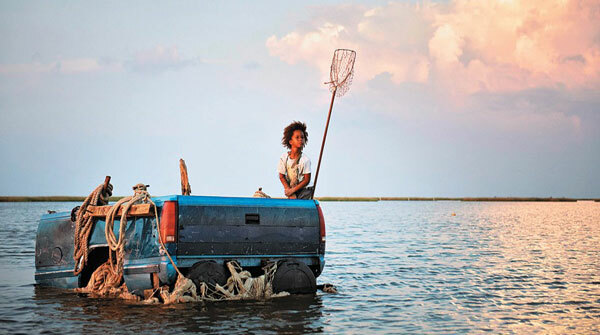 Quvenzhané Wallis is completely believable as the six-year-old Hushpuppy, who lives with her father Wink (Dwight Henry). When a massive storm arrives, it devastates the "bathtub" community and nearly washes away their lives. We stick with Hushpuppy as she tries to survive with other residents while Wink suffers from an even tougher situation. Stricken with an illness that isn't going away, he battles to stay independent against poor odds. Beasts of the Southern Wild is a challenging film to discuss because there's so much happening on screen. Beyond presenting the central plot, Zeitlin is showing the destruction of nature. This disaster is depicted symbolically through the "Aurochs", massive prehistoric creatures formerly trapped in the Arctic ice. They appear frequently and even interact with Hushpuppy, which pulls the story more into fantasy territory. While providing more depth into what Zeitlin's trying to say, it also feels less intimate than the main story. The images are gorgeous throughout the movie, even when we're trapped inside the decrepit homes. It's a striking debut from a filmmaker to watch in the next few years. Another highlight is the work of Dwight Henry, a New Orleans bakery owner discovered by chance by the crew. He never strikes a false note as Wink and brings a captivating energy to the fiery character. The impending apocalypse isn't the typical set-up for a comedy, but most of Seeking a Friend for the End of the World plays out like a fun road movie. Steve Carell plays his stock character of the middle-aged guy disenchanted with life. His wife runs out (literally) on him when they learn that the world is ending in several weeks. By chance, he starts a journey with Penny (Keira Knightley), and they strike up a friendship. After avoiding the doom of a crazy mob, they head into the country with positive goals in mind. He's searching for an old flame, and she's looking for a plane to get back home. Carell and Knightley have great chemistry, so it isn't awkward when they strike up a romance. They probably wouldn't connect in a normal world, but they find a bond among the chaos. The strange part of this film is the drastic tonal shift in the last act. It becomes more of a standard romance where the issues would be resolved if the characters just communicated. However, this isn't fatal because the actors sell the material. They're so likable that we're willing to take the ride and want them to be together, despite the plot contrivances. Knightley is a big surprise and so refreshing when performing in a modern setting. I just want to spend time with these characters and can mostly push aside the concerns. It isn't entirely successful, but there are enough fun moments to make it worthwhile. There's a wonderfully silly scene in an Applebees-like hotel that generates some big laughs. Those oddball highlights make it worth checking out. Lorene Scafaria adapted Nick and Norah's Infinite Playlist, and she brings a similar type of wit to this directorial debut. I really liked "Seeking..." it wasn't perfect but it was quite unique and I really enjoyed Carrel's subtle performance and film's lovely ending. I loved Argo, wasn't a big fan of Beasts, though. Solid movie but I didn't connect with it. Sati, I feel like Beasts is such a tricky movie that I can't really argue if someone loves it or hates it. I enjoyed it despite a few minor reservations. Seeking has such engaging performances that they're able to overcome some issues. Thanks!